We have teamed up with WVU Athletics to bring you the third annual Union Day at Mountaineer Field. This year, we have selected our homecoming game against our conference rivals, the Kansas State Wildcats! The game will be played on Saturday, October 1. (Game time TBD). To order tickets, visit wvugame.com/promo and use the promo code UNION16. Kings Dominion 2015 Ticket Savings! Purchase your tickets online today! www.kingsdominion.com/save and enter the username: KDUFCW03 and password: KDUFCW03 to receive the Local 400 exclusive discount! 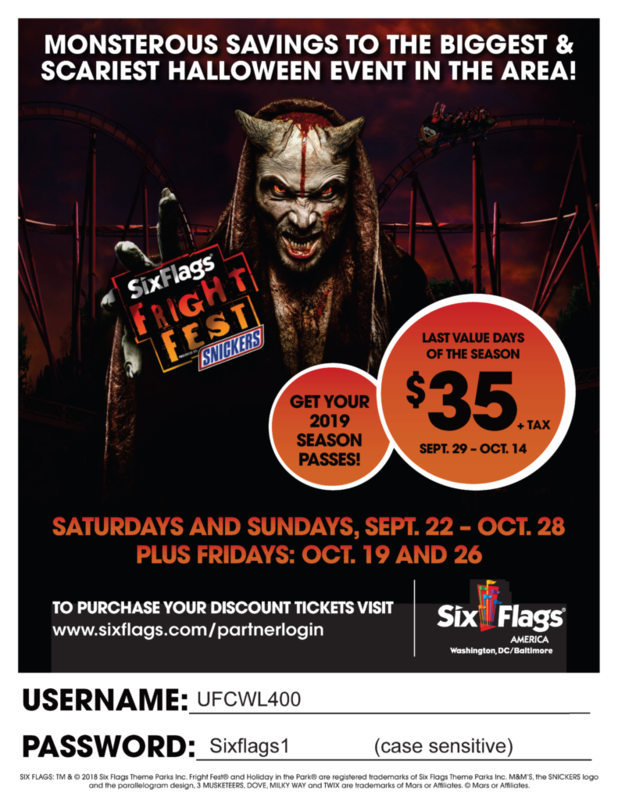 Also don’t forget to check out the Six Flags and Bowie Baysox baseball ticket discounts as well!